* I found this cute little bottle image in the Silhouette Online Store. I duplicated the image, then flipped and welded the 2 bottles together to make a shaped card. * Those super fun eyeballs are stickers that I found at Michael's...kinda creepy! 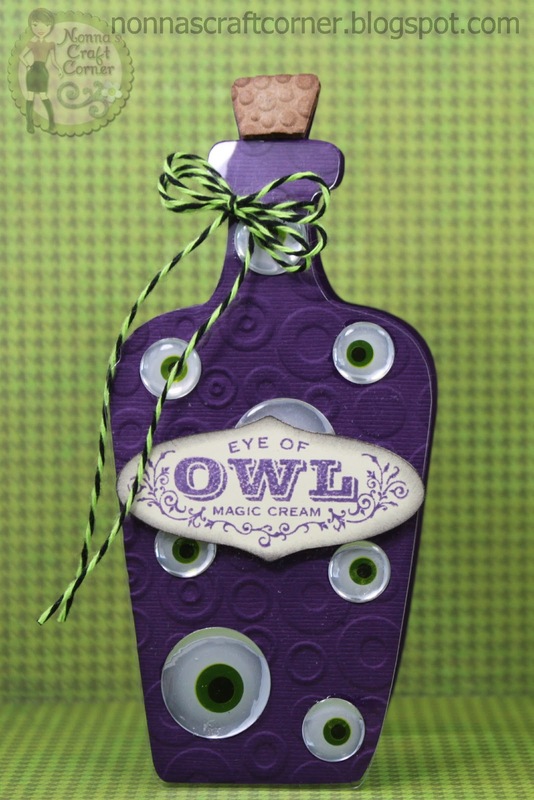 * The "Eye Of Owl" sentiment is from the CTMH stamp set "Magic Potions"
* After stamping, I glued the sentiment onto the clear plastic bottle, then added pop dots to the back of my sentiment. 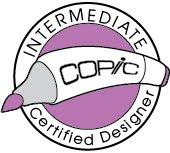 Using the pop dots, I adhered the plastic layer to the purple layer. * My final touch is that cool "Lime Licorice" twine from Trendy Twine. 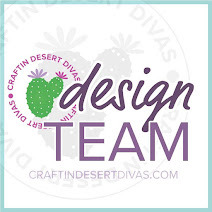 Today's post is going to be short and sweet because I have several projects that are begging to be finished....yikes...how did I get so far behind? Thanks so much for stopping by today and I hope to see you again in a couple of days with some completed projects! This is fabulous Tanya - I love it. So spooky with the eyes. Oh I love it...those eyes are the best! What a fun card! I just love the embossing and the eyes look great! Beautiful shaped card. Love the embossing. Love this bottle shaped card. It's really creepy cute. Tanya ~ well first of all I am upset where you got this shape ~ since i don't have that machine! LOL! But let me say if I did I would TOATLLY lift this! I LOVE that purple paper ~ the embossing the sentiment, the cork and thos eeyes ~ WOW! FABULOUS, FABULOUS card!!! 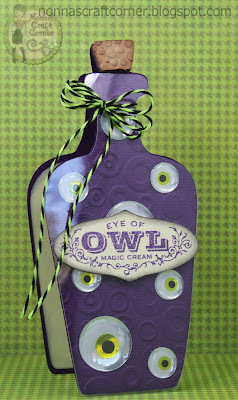 Love the shape of the card and those eyes look so darn creepy and fun! I know what you mean about beginning behind I only have 40 some years to catch up with kids, grandkids, vacation and more and I have lost my mojo all together LOL! I am going to go to a scrap camp in the mountains next month and I am hopint to get a bit done then if I can keep my mouth shut long enough and do something. I do have the gift to gab LOL! Thanks for stopping by my blog and leaving me a comment it really does help and make it sem like maybe the blog if worth it after all. Really cute. Did you have to emboss it yourself then or does the Cameo do that? 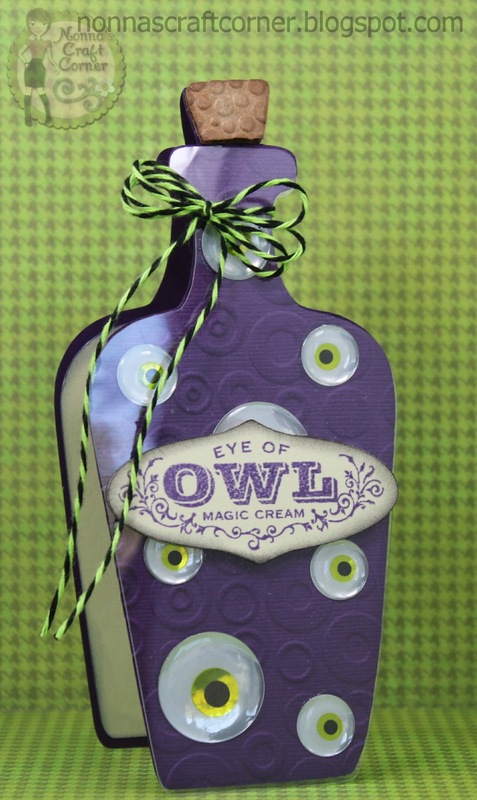 Love this bottle shaped card and the eyes are a wonderful spooky touch! So stinkin fun!! 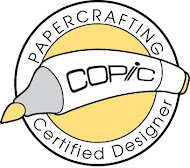 I love the shape and embossing!! the eyes are a perfect touch!! How fun! Love those creepy eyes!